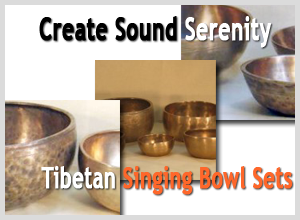 The best Singing Bowls newsletter is meant to be informative and interesting. Because of that it is also infrequent, most years we manage to publish three or four. Sometimes it is half a year between newsletters, this definitely won’t clog up your inbox. So what might you see in a newsletter? To start what is new on our website, which really is what old bowls we’ve newly added to our product list. Maybe that is interesting to you and maybe not. We also will have observations and comments from our buying trips to the Himalayas. You can get a real insight into that world from an insider’s point of view. And then there is the ever unfolding story of the bowls themselves – their sounds, their uses, their history. The newsletter is a means for us to share our continual learning – some of which comes from our customers. Of course we don’t sell or trade your name or do any of that creepy internet stuff. Actually if you don’t open a half a dozen emails in a row we’ll stop sending them. You can also use the use this form to contact us, ask a question or make a comment. If you want a call back put in your phone number. Sign up for our very occasional newsletter - Singing bowl articles, news and features. Write us a note if you wish!